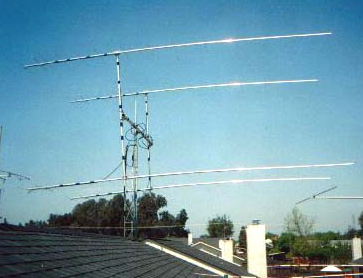 Federal legislators are still trying to pass new law that would allow HAM radio antenas to be installed at homeowners associations despite any restrictions on same in an association’s CC&Rs. We addressed this in a blog post in September of 2014; follow this link. Although that bill failed, Representative Adam Kinzinger (R-IL) has reintroduced the same bill, now designated as H.R. 1301. 2. fails to reasonably accommodate such communications; or 3. does not constitute the minimum practicable restriction on such communications to accomplish the legitimate purpose of the private entity seeking to enforce such restriction. This is largely the same language used with respect to the inapplicability of covenants or restrictions with respect to Over the Air Reception Devices Act that protects a property owner or tenant’s right to install, maintain or use an antenna to receive video programming from direct broadcast satellites (DBS), broadband radio services (formerly referred to as multichannel multipoint distribution services or MMDS) and television broadcast stations (TVBS). According to the FCC, if there is a question as to whether a community association restriction is valid or enforceable, the burden is on the HOA to prove that the restriction or rule does not violate the federal regulations. Should the same process be applied with respect to HAM radios and equipment? For more information, follow this link to the CAI website.